A WONDERFUL, contemporary THREE BEDROOM semi-detached house presented in an EXCELLENT CONDITION throughout. The property boasts stunning interior dÃ©;cor, well-kept PRIVATE GARDEN and DRIVEWAY PARKING. 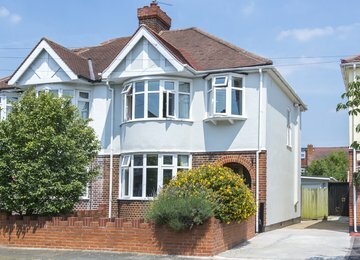 Elm Walk is situated on quiet residential road close to the shops and amenities of Raynes Park and just moments from Cannon Hill Common. The closest transport link is Raynes Park (National Rail) offering easy access into and out of London.